Best Trumpet Stand – Which Stand For Trumpet Is The Best? 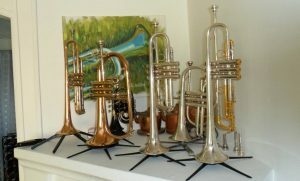 Which is the best trumpet stand? I consider K&M to be the best trumpet stand on the market today! Just what we want and need. 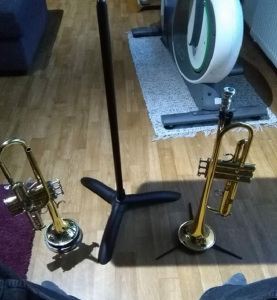 After having scratched my Yamaha and B&S trumpet bells on another stand, of lower quality, I will nowadays only use the K&M , five legged trumpet stands. Sooner or later every trumpet player understands that this is almost a must have item. Personally, I learned my lesson after a few small “accidents” I will mention further down. Unfortunately this is what I did for a few years before I realized that the oil from the third valve slide gave me stains of oil on my best gig trousers. Stains that are almost impossible to wash because, well they are oil…not good. Never do the mistake I did and place the trumpet directly on the floor / ground! ….so do yourself a favor and invest in a couple of high quality trumpet stands. You will have very good use of them for the rest of your trumpet playing days. …and by making a habit of putting down the horn on your stand, after each exercise, you will automatically develop much more productive practice sessions. And so on. Program your brain to do this and it will make you a better trumpet player in the long run. Playing on fresh lips is king! Why is the 5-leg K&M trumpet stand better than others? You need a 5 legged trumpet stand because they are SO much more stable than 3 legged stands. My first stand I bought was a 3 legged one and it did not take much at all to get it to tip over. …and let’s hope no one does that. Don’t make the same misstake I did the first time around and buy a cheaper trumpet stand. 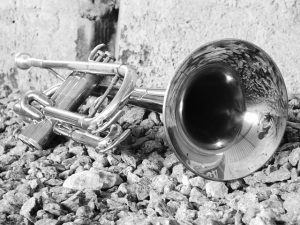 We will put the horn down, literally thousands of times, and if you have a stand with a sharp “tip”, sooner or later you WILL make small dents in your trumpet bell. This is especially true if your bell is a bit thinner, like on my Yamaha 8310Z. Sooner or later it will happen, it is inevitable and that’s why we need the K&M. …which I could have saved instead if I went for the K&M to begin with. Q: What about four legged stands? A: Much better than three legs but still nowhere near as stable as five. Whatever you do, however, do NOT go for the three legged option because there is always one direction that is not supported on them and it does not take much for it to tip over. Q: Is the K&M stand better than the Hercules trumpet stand? A: I think so yes, It is more stable and I’m personally using the K&M. Some of the Hercules stands are also pretty unstable. 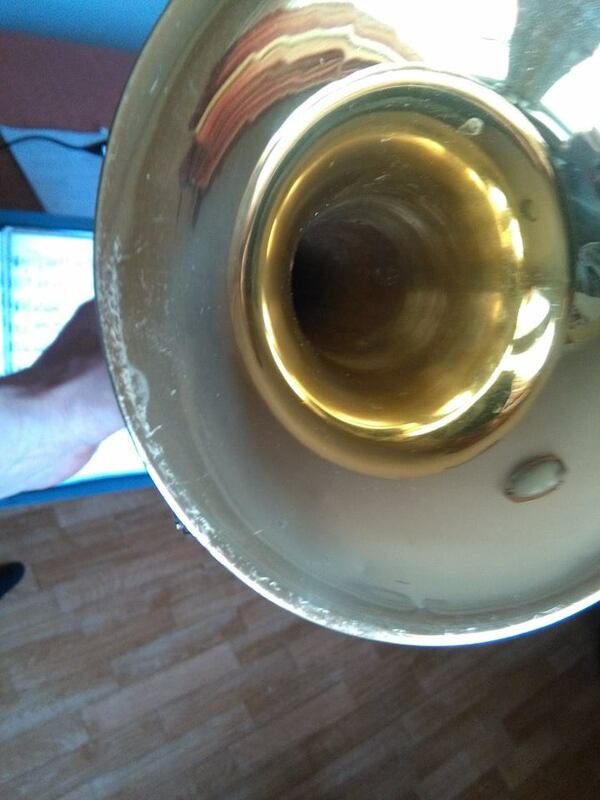 Q: Does the stand leave marks on my bell if I leave my trumpet standing on it for many days in a row? Q: Can I use my cornet with it as well? A: That works well, so indeed you can. I think that the flugelhorn is too big however and you would have to order a special one for the flugel. Q: What about my C-Trumpet? A: Yes the bell of most C-trumpets are not that much smaller. I can even use this stand with my Eb-trumpet. 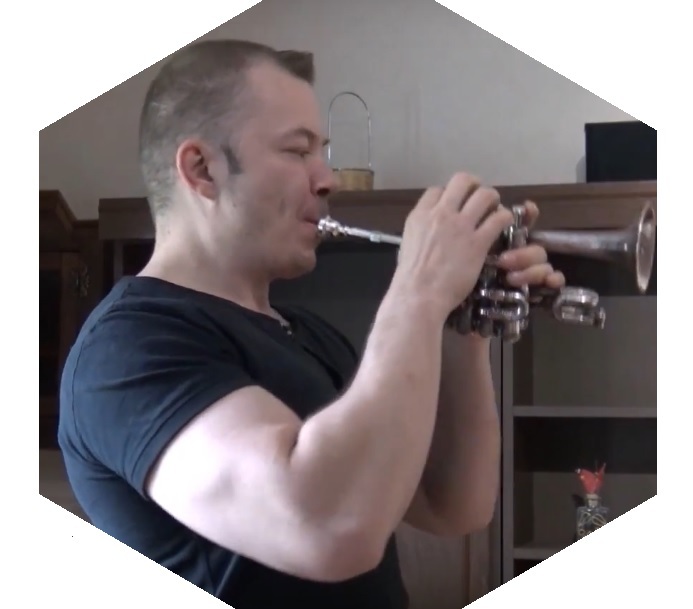 However, I don’t think I could go much smaller than my Eb-trumpet, so it would not work with a piccolo trumpet. If you want that then you need to get a stand specially designed for piccolo. 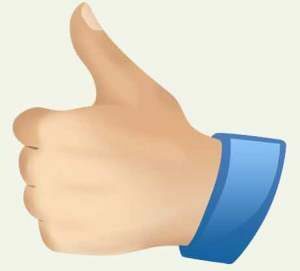 A: This product is priced well compared to similar items and especially considered it’s the best one out there. You can click here to check current pricing on Amazon cause it always fluctuates a bit. FINAL VERDICT: Is the K&M Trumpet Stand Worth It? Answer: Yes I think it is! And it will save your trumpet from tipping over since it, with its 5 legs, is the most stable one out there…. …been there, done that and the repair costs was not that cheap. If you order the K&M stand from Amazon you have a 30 day full money back gurantee, sould you for some reason not be happy with the product. However I highly doubt you would be unhappy with it. If you are interested in the same stand that I use (the one I have been writing about here, the K&M 5-legged stand) it should always be pretty affordable, somewhere around 20-35 bucks, I’d guess. You can click here to check current pricing on Amazon. Thank you for clicking on another “must have trumpet item” and thanks for reading this short “trumpet stand review” about what I consider to be the best trumpet stand we can find. P.P.S. Perhaps you also might be interested in reading the blog post nervous when performing the trumpet. It is an article full of practical and mental tips on how to deal with your nerves when your are performing, or if you just have anxiety in general.